“The Greatest Innovation In The Landscape Industry This Year Is… Grand Illusions Vinyl Fence,” says New York Landscape Contractor Newspaper! New York Landscape Contractor has run a full feature article on the Grand Illusions Vinyl Fence product lines. 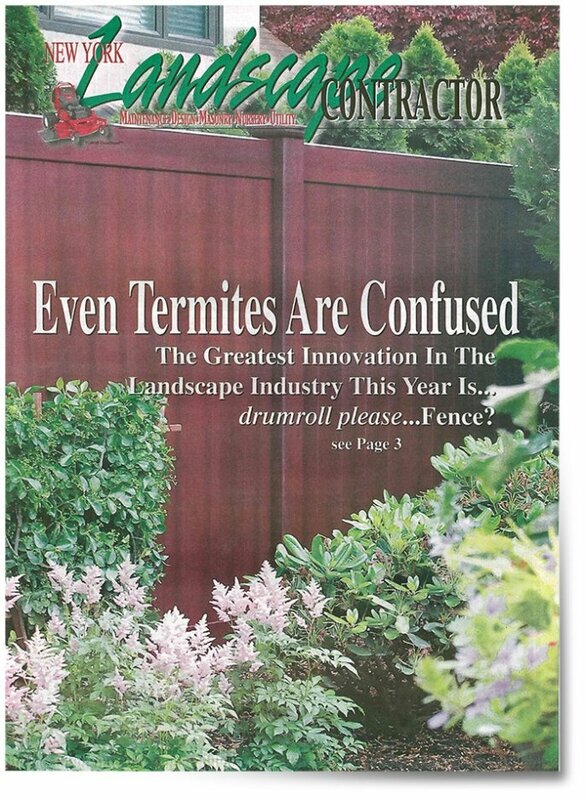 The greatest innovation in the landscape industry this year is… drumroll please… Fence? Fence you ask? How is fence innovative? It’s wood, white, beige, or gray, isn’t it? Not any more. After years in the making, Illusions Vinyl Fence has put the finishing touches on its new Grand Illusions Color Spectrum and Grand Illusions Vinyl WoodBond color and wood grain vinyl fence products. They feature 35 standard colors (as well as custom color matching capability) and 5 authentic wood grains. 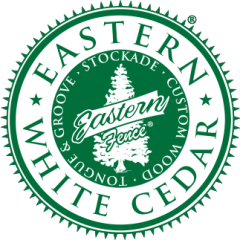 Williams continued, “The Grand Illusions Vinyl WoodBond series of wood grain vinyl fence is probably one of the most amazing products to hit the fence industry since vinyl fence itself. The phrase used most often by people seeing it in person is ‘game changer.’ The grains look real, even up close and personal. The products start with 100% Pure Virgin Vinyl Illusions Vinyl Fence products, including pre-assembled panels, and Uni-Weld Gates. Then, through a patent pending multi-step fusion bonding process, the color or wood grain is added. All the components are then finished with color protection by the Sky2Blue Shield, which resists fading, scratching, peeling and flaking. It is a free web-based application that allows you to create different Mix ‘n’ Match combinations of Illusions Vinyl Fence. It will also allow you to create a report that can be printed and saved. This report will list the colors and styles used on the job so there is no confusion with ordering. It can be linked directly to your web site via a Weblink to help increase sales. Some customers using the links have seen dramatic increases in sales over the last year, noted Williams. Grand Illusions Color Spectrum and Grand Illusions Vinyl WoodBond products are nationally available through local distributors.